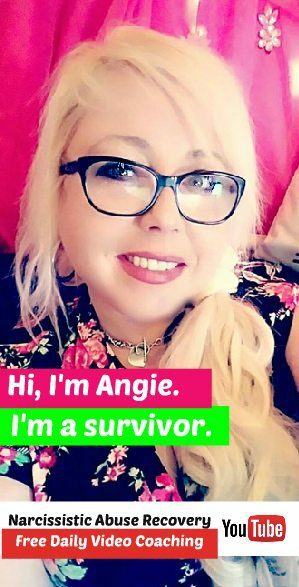 QueenBeeing.com’s resident certified life coach Angela Atkinson offers private, one-on-one coaching sessions for those who could use the additional support. You can also purchase her books at BooksAngieWrote.com. Project Bli ssful isn’t just about losing weight or getting fit – it’s a complete mind and body makeover that not only FEELS good, but also completely changes your perspective of the world. If you want to change your life, you have got to change your mind – it’s a fact, and I’m living proof of it. This initial session was designed for people who need to find their weight-loss mojo, the thing that spurs them into action. I call it a “Booster Shot” session because as we work together, you will discover your true motivation for weight loss and learn to fully embrace your REAL self – not the one that society, your mother or anyone else thinks you’re supposed to be, but YOU, as you are. 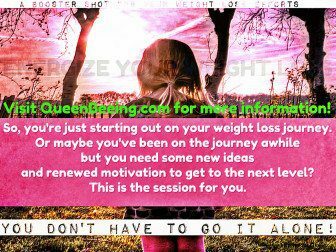 Once you’ve scheduled and paid for your session, I’ll send you a zip file that will contain a questionnaire as well as a weight loss starter kit full of useful tools to help you along the way. Once you complete the brief questionnaire, be sure to submit it to me at least 4 hours before your session so that I’ll have time to prepare. The live session lasts 30 minutes and can be done face-to-face (by appointment only) or online via a private Google Hangout. If you prefer to do your session by phone, we can do that too. A “next-step” plan of action that will help you to move your mind and your body into the next phase of self-acceptance, physical health and what I like to call unconditional self love. You will receive a personal follow-up email from me that details your session and any additional thoughts or advice that I think will be helpful for you. At this point, you can just get started on your journey and join the private Project Blissful Weight Loss support group on Facebook for my coaching clients – or we can set up a longer-term support and coaching program at a reduced rate. It’s entirely up to you, and there are no requirements or strings attached when it comes to the next steps. Ready to get started on becoming the best possible version of yourself? Sign up for this powerful jumpstart session and begin changing today! Still not sure? Check out my ebooks at a much lower pricepoint – starting at just 99 cents. Visit BooksAngieWrote.com to see the most current list.